Made with the care and craftsmanship that is used in all of our chairs. You can rock away while you watch tv or read to your child. Features Solid Oak the classic Spindle sides inspired by the Original Arts & Crafts movement. 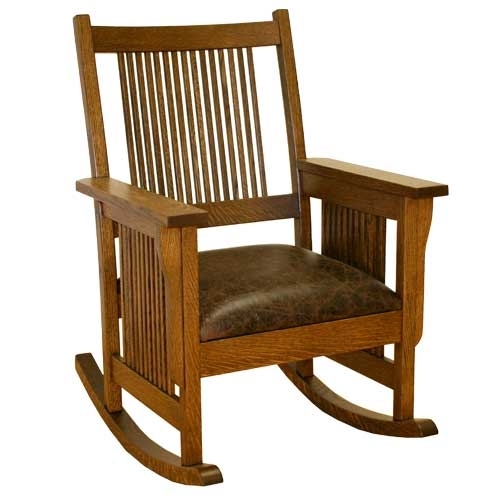 Timeless Mortise & Tenon construction coupled with Spindled Sides and Korbels on two sides make this one great Rocking Chair made to last for generations.